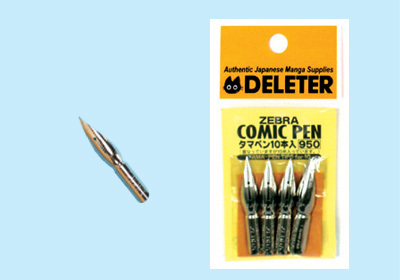 ﻿ [DELETER MANGA SHOP]Zebra Tama-pen(10pc) (ゼブラ,タマペン,10本入) \n"; html = "
smooth and easy to draw all kinds of lines. The Saji-pen is also called the Tama-pen. Pen nibs are used with black ing & Pen Holder.